According to the Institute for HealthCare Consumerism (IHC), over the next few years between 35 and 75 million Americans will access employee benefits through private exchanges. So it was fitting that IHC convened more than 300 employers, brokers, wellness companies, and insurers last week in Dallas for two days of collaborative discussion around the private exchange market. The post-ACA era environment marks a drastic change in employer-sponsored benefits. Healthcare roles are rapidly evolving, while the types of organizations available to serve employees continue to expand. Discussion at the forum zeroed in on consumer understanding of private exchanges, the new role of brokers, and how healthcare organizations can help eliminate consumer confusion about healthcare benefits in general. 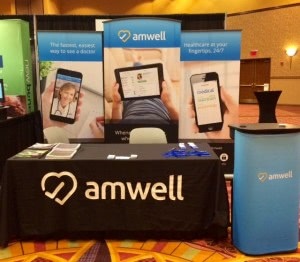 American Well attended the forum, which underscored the rise of telehealth in the employer market and addressed its integration into private exchanges. Our employer experts sat on two key panels. 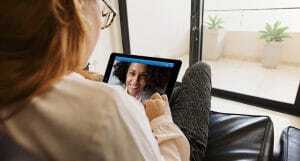 What Do Employers and Consumers Want From Telehealth? Andrea Comporato, American Well’s SVP of Health Plans and Employers, sat on a panel to discuss what consumers and employers want from telehealth. The key takeaway from Andrea’s presentation was that “each one of us has the chance to improve quality and reduce costs.” The rise of private exchanges signals that consumers are looking to innovative care delivery solutions like telehealth to add value to their care. Andrea’s co-panelist, Jake Cleer from New Benefits, believes that consumers still require education about the benefits of telehealth. 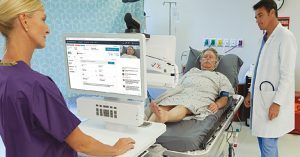 He projects that as consumers become more informed and telehealth use cases move beyond urgent care, organizations will need to look at exchanges and groups as a mechanism for purchasing a telehealth platform. Claudia Rimerman, American Well’s VP of Channel Relationships, led a discussion on consumer acceptance of treatment via telehealth, with a focus on chronic care management. 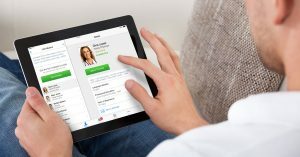 Other telehealth companies, wellness companies, carriers, and consultants participated in the discussion, expressing the opinion that the ability to manage chronic care on a platform is a unique enabler. A key takeaway from the discussion was that telehealth is evolving beyond urgent care and the types of use cases for physicians and patients are becoming much more varied. Beyond urgent care and chronic care management, telehealth can now deliver behavioral health services, general health assessments, nutrition, diabetes management, and smoking cessation services. And with platforms like Amwell, telehealth can improve health outcomes, reduce costs, and drive engagement. If you attended the Forum, what are your thoughts? How can organizations continue to be health advocates for consumers?